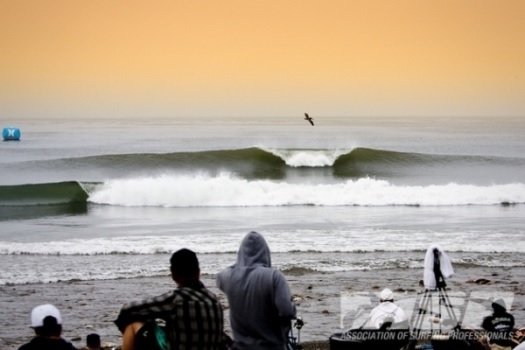 LOWER TRESTLES, California/USA (Tuesday, September 17, 2013) – The Association of Surfing Professionals (ASP) is pleased to announce the addition of San Onofre State Beach – Lower Trestles as a venue to the 2014 ASP Women’s World Championship Tour (WCT) schedule. The event, scheduled to run in conjunction with the men’s Hurley Pro at Trestles, will take place in September 2014 and will bring the elite ASP Top 17 to the famed cobblestone pointbreak of Lower Trestles for the first time in history. Sponsorship for the women’s component of the event is to be determined, but its addition to the tour in 2014 has been significantly supported by the Hurley Pro at Trestles. Today’s announcement confirms ASP Management’s commitment to enhancing women’s professional surfing as the first of many public announcements to come. A full 2014 ASP schedule will be released in the coming weeks. The next stop on the 2013 ASP Women’s World Championship Tour (WCT) will be the Roxy Pro France from September 24 – 30, 2014. San Onofre State Beach is one of the true treasures in California State Parks, providing park visitors with a place for inspiration and the renewal of spirit with its breath-taking scenery and natural features. San Onofre is the fifth most visited State Park in California, with its rare 3,000-acre scenic coastal, canyon and foothills areas, all offering outstanding opportunities for recreation and a balanced approach to sound environmental stewardship. San Onofre State Beach also contains one of the last pristine watersheds in Southern California, which makes it well suited as a home to 10 threatened or endangered species of wildlife that are currently protected under federal law. The Surf Beach and Trestles areas of San Onofre State Beach are world renowned and historical surfing beaches, offering some of the most consistent surf on the west coast.